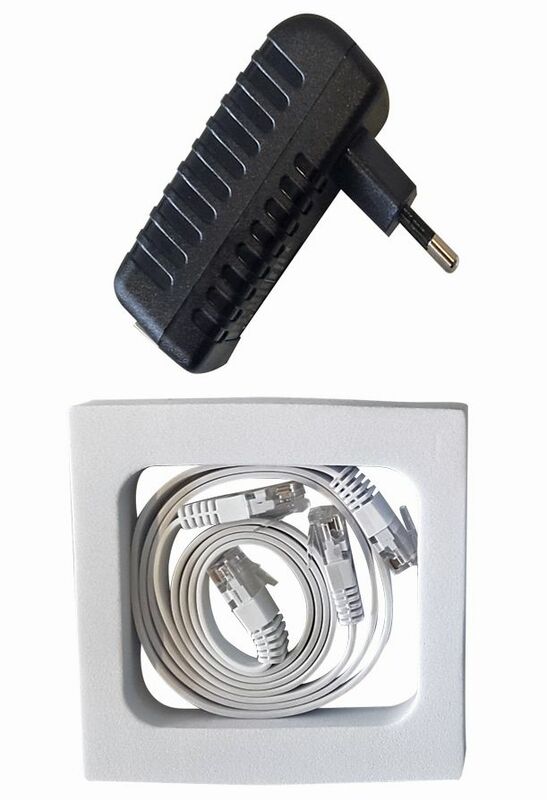 Product information "PoE Starter Kit - Power over Ethernet Starter Kit for Radar Developer Kits"
This Starter Kit for our Radar Developer Kits consists of a Power-over-Ethernet (PoE) Injector with Euro plug for 230 V and two Ethernet cables CAT-5 with RJ45 male/male plugs. The injector converts Ethernet into PoE so that a radar module (sR-1200e or sR-1030e) can be powered and connected with the LAN plug of a computer. Related links to "PoE Starter Kit - Power over Ethernet Starter Kit for Radar Developer Kits"
Customer evaluation for "PoE Starter Kit - Power over Ethernet Starter Kit for Radar Developer Kits"